Malpractice claims dipped nationwide between 2007 and 2016, but an analysis from CRICO Strategies of 124,000 claims during that period shows that inadequate clinical judgment—and the underlying assessment of patients’ symptoms and medical history—remains a strong causal factor when it comes to lawsuits. 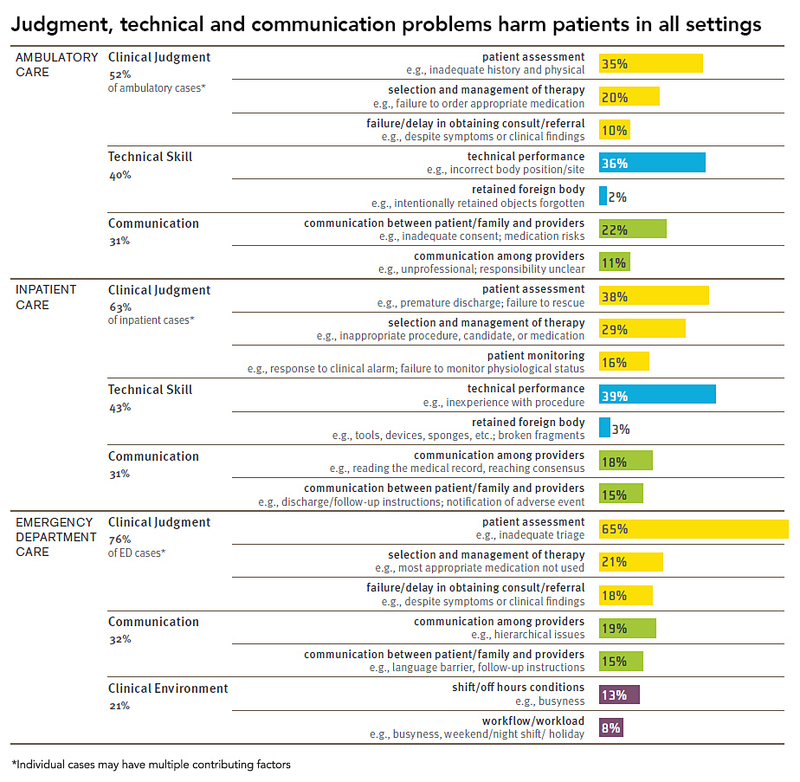 And while data from malpractice claims do not capture all patient safety risks and challenges, they offer a window of opportunity to learn from events that adversely affected the lives and health of patients. CRICO’s full report, Medical Malpractice in America, can be downloaded for free.